Delivery and circulation of fuel and lubricants. Increasing pressure and circulation for booster modules. Increasing pressure and circulation in lubrication systems. Tank system support. 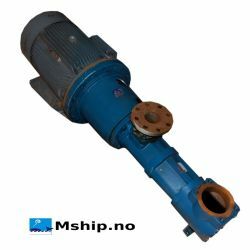 Increasing pressure and circulation for separators. Burner pump for boilers. Supplying fuel to diesel engines. Three Screw Pumps There is 1 product.